It’s 2015. Where’s my spaceship? The other day I was reminded of something that happened, if my memory serves me correctly, in 2001. It seems like a long time ago doesn’t it? Strange to think that it seemed so futuristic to Arthur C. Clarke in 1968 that he named his classic science fiction novel with that date. Time is funny like that. Anyway, back in 2001 I went into a mobile phone shop to get a new phone (yes young people, they did exist 14 years ago). I was shown one of the smaller, lighter phones on the market which was still, certainly by today’s standards, a rather blocky piece of kit. The salesman told me that phones just wouldn’t get much thinner than the model he was trying to convince me to sign up for, because that was the thinnest the batteries could be made. How wrong was he? Perhaps not quite wrong on the scale of Bill Gate’s infamous (and since strenuously denied) “640K ought to be enough for anybody” line, but pretty wrong. 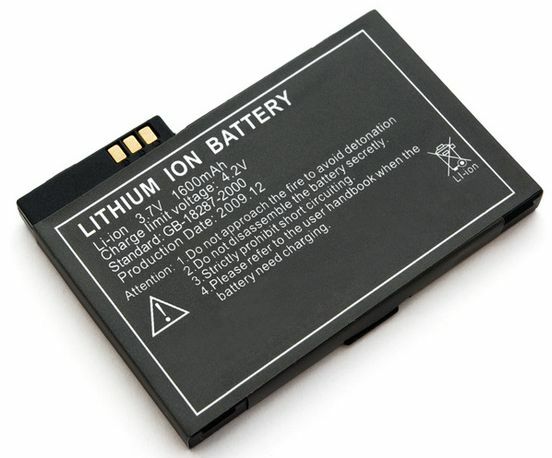 Just a couple of years later lithium ion batteries became widely available, and everything changed. Argh, my battery is down to 5%! These days the only time most people think about batteries is when they’re cursing them for running down too quickly and scrabbling about looking for a charging cable. They’re part of modern life; something we take for granted. I’m writing this on a laptop that’s running on a battery. Pretty much everyone has a mobile phone with a battery. Lots of other devices in our households have batteries, either as their primary power source or as a backup to mains electricity. Electric cars, like the Nissan Leaf, run on batteries, and scientists are even investigating the possibility of putting large storage batteries into our houses to store any excess power generated from solar panels on our roofs. And the majority of those batteries are lithium ion. Stop and think about that for a moment. Smartphones, tablets, eReaders and the like have changed our lives hugely over the last few years and yes, of course, they are the sum of lots of different strands of technology, including touch-screens and increasingly tiny processors. But the fact remains they probably just wouldn’t exist without the humble lithium ion battery, which provides a lightweight, thin and long-lasting (it is, really) source of captive electricity. Lithium really doesn’t play nicely with water. Lithium batteries were first proposed in the 1970s, and the first ones actually contained lithium metal. 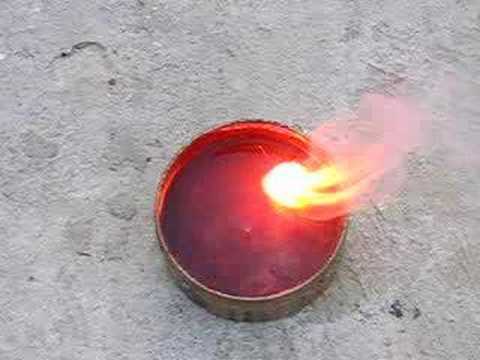 Now, even if you’ve forgotten everything else you did in your school chemistry classes, you probably do remember your teacher dropping lithium, sodium and potassium metal into water and watching them suddenly burst into red, orange and purple flames respectively. It’s bad enough accidentally dropping your phone in the loo, imagine if didn’t just stop working but actually exploded. That really would spoil your day. Lithium reacts spectacularly with oxygen too, so although nice in theory it was ruled out pretty much straight away on safety grounds. Researchers quickly started investigating lithium compounds, and lithium cobalt oxide, LiCoO2, was next up. As a general rule, very reactive elements produce much more stable compounds – and lithium cobalt oxide is much easier to handle than lithium metal. Unfortunately it does still have poor thermal stability. Which means it has a nasty habit of blowing up if it gets too hot. A bit like that beltric acid stuff in Superman III, only without the turning into strawberry jelly and causing supercomputers to go rogue thing. At high temperatures lithium cobalt oxide starts to generate oxygen, and although oxygen itself isn’t flammable (we all knew that, right?) it does make everything else burn really, really well. Like, say, the plastic cover on your phone, or your curtains. So, that was a problem. 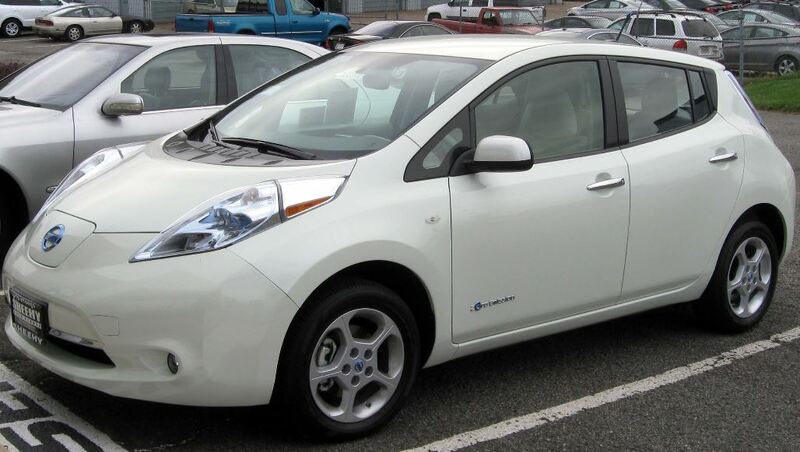 The Nissan Leaf runs on lithium ion batteries. Big ones. Not to worry: it didn’t take too long before Rachid Yazami found a way to reversibly insert lithium ions into graphite. The fact that the process is reversible is important: as you charge the battery the lithium ions are absorbed into the graphite, forming LiC6, and as you use it they are slowly released. The electrode that he discovered is still one of the most commonly used ones in commercial lithium ion batteries. These batteries are safe and affordable. The graphite does break down over time, in a process called exfoliation (not the facial wash type). There are ways to reduce this but as we all know from experience, while most lithium ion batteries can happily survive a few years worth of charge cycles, they still don’t last forever. It probably comes as no surprise that there are plenty of researchers out there working on new battery technologies. One of the newer types is the lithium vanadium phosphate battery (LVP), which is increasingly being used in electric cars. Speaking of cars, we all learned at school that crude oil (the source of petrol and diesel) is a non-renewable resource. This is true, but there are alternatives to producing fuels from crude oil. Bioethanol is relatively easy to produce, diesel vehicles can run directly from plant oil fuel, and there are types of algae which can produce fuels. These alternatives also have the advantage of absorbing carbon dioxide as the plants or algae grow, so reducing the total amount of carbon dioxide that ends up being released into the atmosphere. That’s good, because pretty much everyone agrees now that global warming is a Bad Thing (even Republicans). If you think about it, no metal is renewable. We can’t make metals (well, beyond a few atoms in a supercollider), and often there’s no really good alternative to using a particular type of metal. Having said that, scientists are working on sodium ion batteries, but they’re not commercially viable just yet. So right now, to feed our desire for new laptops, phones and even cars, we need lithium. Lots and lots and lots of it. 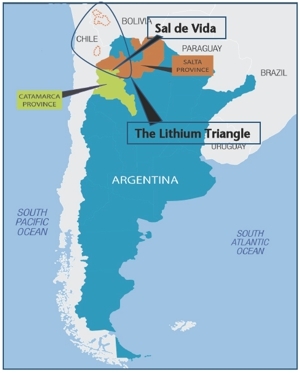 The lithium triangle. Where batteries mysteriously disappear (not really). Because lithium is so reactive it’s never found in its pure state; it has to be extracted from its compounds. 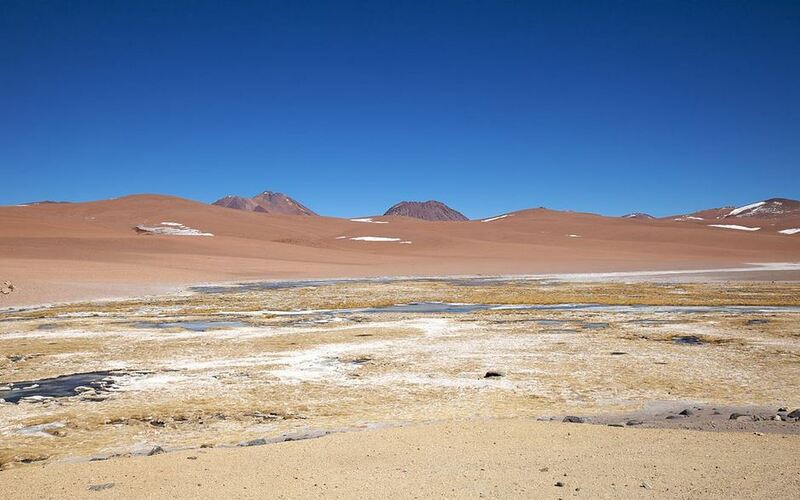 Most of the world’s supply comes from a small group of places colloquially known as the ‘lithium triangle’, which includes the Atacama Salt Flat in Chile (generally considered to produce the best quality lithium in the world) and the Hombre Muerto Salt Flat in Argentina. Most of it, some 40-50% of the world’s reserves, is thought to be in Bolivia, where mining only began a few years ago. It takes 750 tons of brine, and 24 months, to obtain just ton of lithium from these salt flat locations. The energy cost is high, although lithium itself is still relatively cheap (right now). It can of course be recycled: 20 tons of spent batteries can also provide one ton of lithium. So be good and recycle your phone responsibly. And next time you’re cursing your battery, just stop for a second and think of all the time and energy that went into making it. Pretty amazing, really. The Salar de Arizaro. Beats a wet January in the UK, that’s for sure. And if you’re a student thinking about career options, spare a thought for chemical engineering. Our demand for metals is only going to increase and someone needs work on more efficient ways of getting at them. You won’t be short of a job, and you might even get to visit some pretty nice locations along the way. Now funnily enough, and I swear I’m not just saying this for artistic licence, my laptop battery has just hit 7%. Where did I leave my charging cable…?